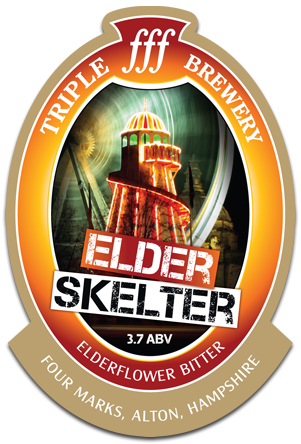 A Pale amber coloured beer with aromas of orange, grapefruit and subtle elderflower that lead you into a beer that is bright and refreshing. Citrus fruits dominate the flavour then gentle elderflower returns along with a slow, lingering bitterness. Cask (Watership Down, Freefolk) - Amber in colour. Elderflower, passion fruit and lychees in the aroma. Refreshing taste with elderflower, peach and sultanas standing out. Enjoyable. Cask at the Old Manor (JDW), Bracknell. A slightly hazy, golden amber pour with a thin, loose, white head; floral aroma; crisp grapefruit bitterness immediately, then giving way to a softer , sweeter, citrusy body; finishing with a further, lasting, bitter kick with a fresh floral edge. A refreshing and enjoyable summer beer. Cask at Oliver Twist, Stockholm. Clear deep golden. Rich arom of citrus, tropical fruits and elderflowers. Light bodied with soft mouthfeel. Freshly hoppy, citric with growing bitterness. Balanced elderflower flavour, hugely drinkable.